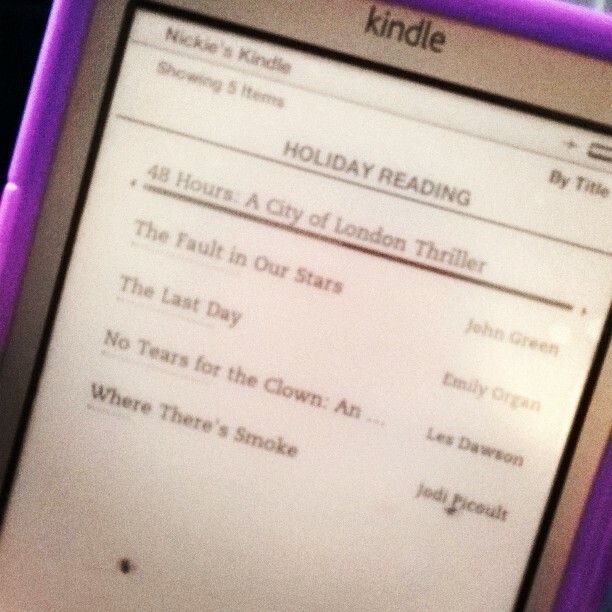 When I went on holiday recently I chose five books from my recent downloads to read (a lot of my random e-book reading are from the "free" section of Amazon with paid downloads being true recommendations from friends). Two of them were never started, the other three were a glorious surprise. The first book I completed was 48 Hours : A City Of London Thriller by J Jackson Bentley. It was free when I downloaded it (and, at the time of writing, still is free). The plot was unpredictable and kept me glued to the book. When you thought it was concluding you realised there was loads more of the book left and another twist happened. My only criticism is that one of the characters is literally Bob Geldof with a name change - there should have been more originality with this character because it still would have worked. I'm glad to have discovered this author and will probably be downloading more from him. Next was The Last Day which has been written by a very good blogger friend of mine, Emily Organ. Emily was offering this as a free download just after publication so I grabbed a copy (at the time of writing, this is available for £1.75). I love that it was set in the 80s and the cultural references are spot on. The story is set during just one day and hinges on the fact that the main character had a premonition about the day that he was going to die. A really unique plot with an unusual ending. Finally, and probably my most favourite book, was No Tears For The Clown : An Autobiography by Les Dawson (I can't remember if I paid for this download but it's currently priced at £2.99). Les lived in St Annes in Lancashire which is where I grew up for part of my childhood so many of the references to the town are places that I know well. This part of his autobiography is based around his first wife's death and his new relationship with Tracy and it's good to hear his side of the story, especially as the media version is so different. I kept reading parts of this book out to my husband because of references to locations and events that have also been a big part of my life. The book finishes with the birth of his daughter, Charlotte and, as we all know, he didn't live for very long after that. I would love to have read a conclusive chapter from Tracy (or even a book of her own about her life with Les). As you may have gathered, much of my holiday was spent with my Kindle in my hand, which was perfect for me (and I mention it in this video). It also made me realise that I haven't been reading much recently which is something I've already rectified although I'm dreading starting The Fault In Our Stars because I'm probably going to cry all the tears. What books would you recommend to me for the rest of my Summer reading?